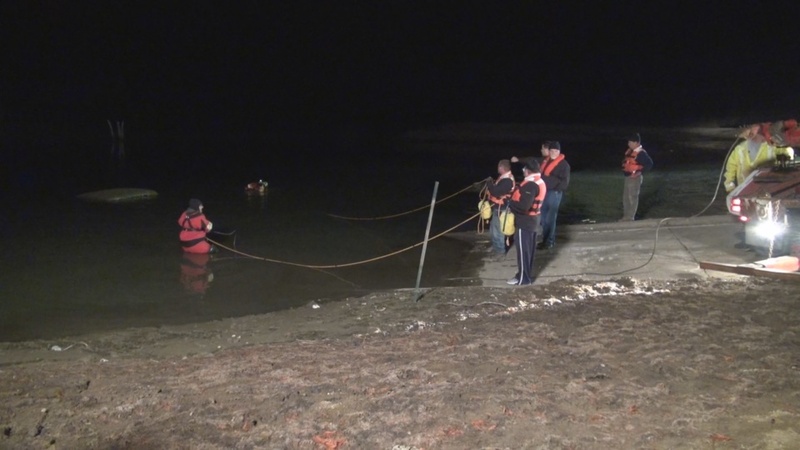 Major renovations planned by the Missouri Department of Conservation at Amarugia Lake in Cass County revealed the presence of two vehicles submerged near the boat ramp on Tuesday evening. As part of a multiyear renovation project on the lake the water has been released from the lake for the past several days. 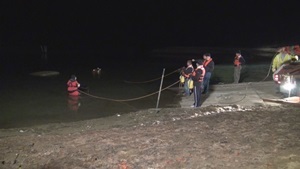 The Cass County Sheriff's Office was notified Tuesday of the possible presence of a vehicle partially visible near the west side of the lake. 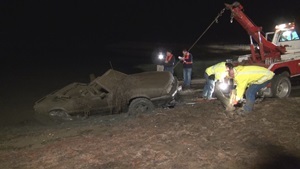 Deputies investigating located a second vehicle submerged under water and mud in the same area. Investigators and along with members of the Lee's Summit Underwater Rescue and Recovery, and Central Cass Fire Protection District spent late Wednesday night recovering the vehicles from the lake. "They are most likely stolen vehicles, but the exposure to water and mud has deteriorated many of the identifying marks making it very hard to verify that tonight," said Sheriff Diehl. 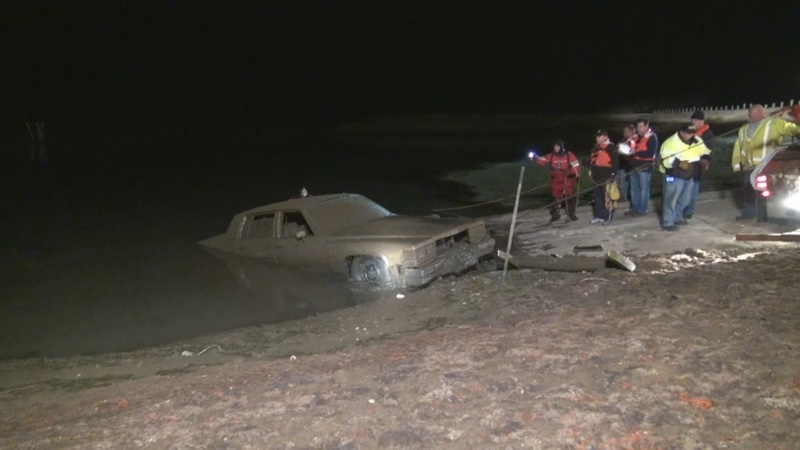 Investigators said a Ford Mustang and Cadillac were recovered, but it will be several days before they are able to positively identify the vehicle's identification numbers and get information about the owners. 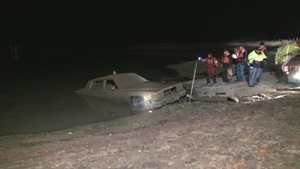 Major renovations planned by the Missouri Department of Conservation at Amarugia Lake in Cass County revealed the presence of two vehicles submerged near the boat ramp on December 4th. Investigators have now identified the two vehicles. Investigators believed both vehicles had been stolen, but until investigators could locate the VIN (Vehicle Identification Numbers) information nothing could be confirmed. Detectives now know that the 1980 Cadillac was stolen from Kansas City Missouri in 1990 and the 1990 Ford Mustang was stolen from Harrisonville in 1998. 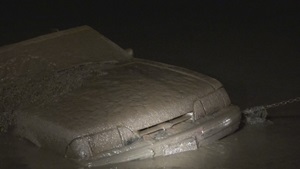 Cass County Detectives contacted the Kansas City and Harrisonville Police Departments to advise them that the vehicles had been located. The case will now be turned over to those agencies for any further investigation.